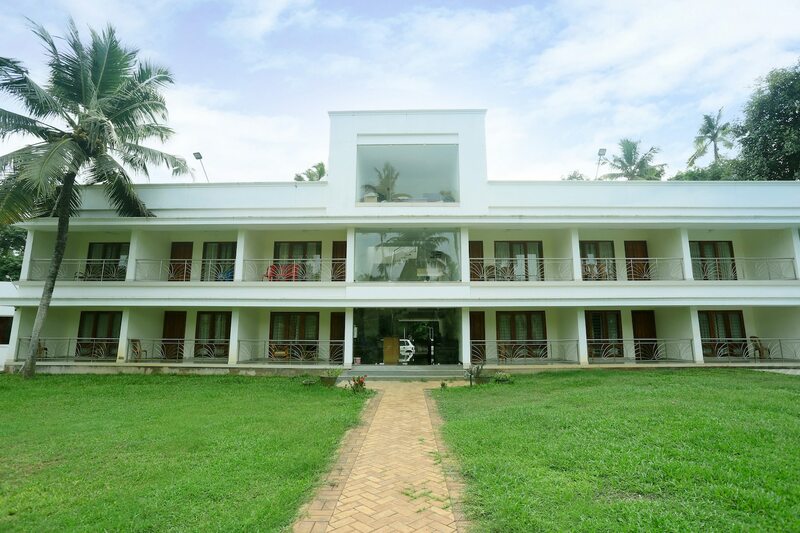 The palatial building of Travancore Island Resort welcomes guests to rooms that are spacious and classy with scenic views, for a relaxing and enjoyable stay. The rooms are designed in light tones, with the darker wooden furnishings and flowing curtains adding a touch of elegance. The views from the balconies are stunning, overlooking the gardens, palm trees and water, and seating is also available so guests can spend time outside. The property offers free WiFi connectivity, power backup and options for card payment. The garden has a sports net in place, where guests can play volleyball and badminton. Travancore Island Resort has a CCTV camera setup for extra security.